If you're an improviser, then you've rehearsed with a myriad of coaches of varying degrees of quality. You know what you look for in a coach: preparedness, effective notes, actionable notes, concise feedback. But how do you apply that to your own work when running a rehearsal? This 3-hour workshop will take those concepts and put them into action. Additionally, we'll discuss Rehearsal Planning, the Business of Coaching, and How to Avoid Common Coaching Pet Peeves. Fee may be paid via Venmo (@Rachel-Rosenthal-2). If you'd like to pay via Paypal, check, or credit card, please email me and I’ll follow up with details! Please make sure to include the name of WORKSHOP, as well as your NAME and EMAIL with your payment. This class is being put together based on student interest and availability. The refund policy is here just so that other people’s last minute cancellations don’t ruin the possibility of the class for the other students - thank you for your understanding! Full refund if you cancel before April 6th. Refunds are forfeited after that date. 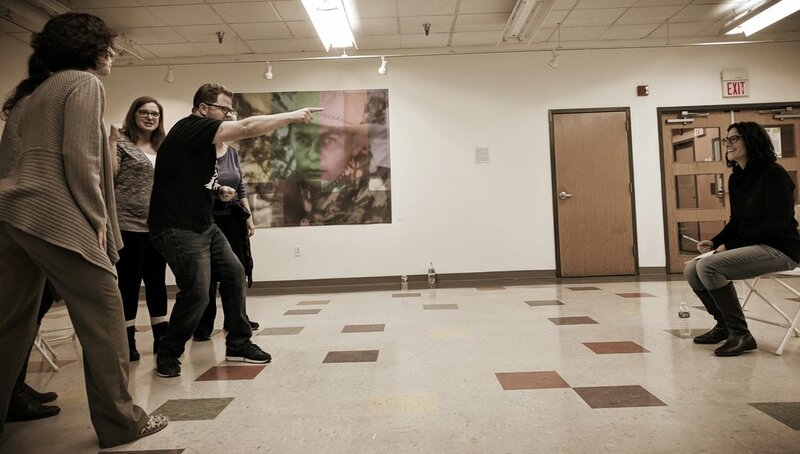 Rachel Rosenthal is a full-time improv instructor and performer. She has been a faculty improv instructor at Miami Ad School, Reckless Theatre, and at The Peoples Improv Theater where she was awarded the 2014 PIT Teacher of the Year. She has led improv workshops all over the world from Barcelona to Vancouver to Hawaii and has worked with everyone from CEOs to TV actors to college students. She also teaches Corporate Training to businesses and schools. Any questions about any of this? Contact me! Read more reviews from Rachel's previous students here.